So, there’s this Targeted vs. Untargeted CI debate out in CI Land…well, maybe not really a debate, but different approaches. 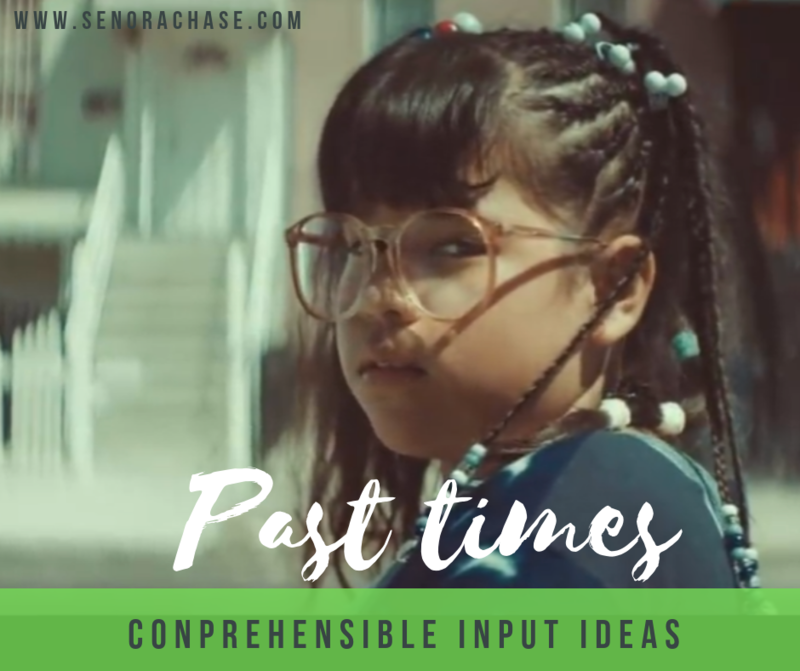 Some teachers have their plan, the vocab they want to teach and that drives their Comprehensible Input. That’s Team Targeted. Team Untargeted goes with the flow, letting the vocabulary emerge organically as they’re chatting with their students. Both teams focus on high frequency vocab, both teams are committed to loading up their Little Darlings with Comprehensible Input and thus their kiddos acquire lots of language. Rita Barrett told me she’s Team Untargeted, Lite (Or was it Team Targeted, Lite, Rita?) either way…that’s where I’ve found I’m happiest! Our teachers at our school teach the same themes at the same time, but we don’t have a vocabulary list we’re tied to. We talk about those themes in class and build our vocab list as we find interesting things to talk about. That’s enough “we’re on the same page” to make our school happy, but give us the freedom to get to know our kiddos and talk about the things that interest them. We Movie Talked the heck out of the music video SOY YO, focusing on Rides, Wants to play basketball, They are not impressed, Plays the flute, Dances, Wants to dance and she doesn’t care…I mean, it’s almost as if this Music Video was made for the Passatiempos unit…not to mention I just love it so freaking much! After we Movie Talked and Textivated, we did a Movie Talk Jumble as a reading assessment. Basically students read the text, then match the corresponding picture to each paragraph by writing the Picture Number on their paper. It’s good reading practice for them and easy to grade for me- win, win! Here’s the story and here is the screenshot slideshow… if you’d like to edit, feel free to make a copy so that the text will be comprehensible for your Little Darlings! We had a lot of fun talking about our hidden talents focusing on the structures can and can’t. It was hilarious to impress them with my weird human tricks and watch them try to touch their nose with their tongue, kiss their elbows and roll their tongues. After movie talking this one, we did some Write and Discuss and then played with the story in Textivate. We finished up with the Pura Vida Jumble as a reading assessment: Here’s the story and here are the screenshots. Then we finished out today by playing POP UP with sentences from Pura Vida. Any other fun Past Time CI activities that I should add to my arsenal for next year? Previous Verb charts?! In a CI classroom?! Is that even allowed? !